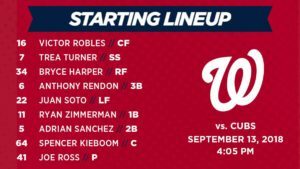 Here’s the Washington Nationals lineup for this afternoon’s make-up game with the Chicago Cubs. 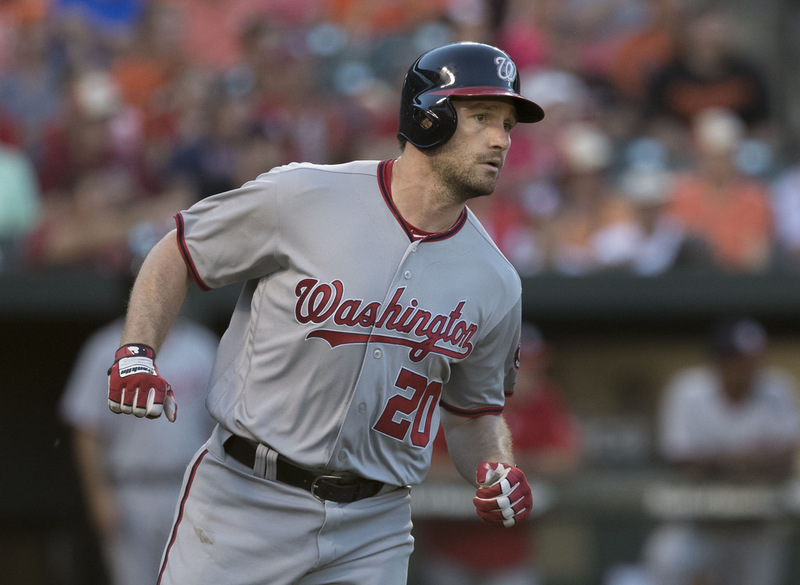 The Nationals have won five straight and are eyeing second place in the NL East. However, Washington will have their work cut out for them as the Chicago Cubs, in a division battle themselves, visit Nationals Park. The Nats give the ball to Joe Ross, who will try once again to make his return from Tommy John surgery 14 months ago. He pitched only 1 2/3 innings on Friday before the game’s postponement. Mike Montgomery (4-5, 3.85 ERA) gets the start for the Cubs. In his last two starts, Montgomery has allowed six runs in 8 1/3 innings pitched.